Easy stammering looks quite nice sometimes and even gives a person a kind of charm. This "stroke to the portrait" is often used in literature and cinema, in order to emphasize the softness, intelligence, and romanticism of the hero. Alas, everything is much more dramatic in life. The face is distorted with a painful cramp, the spasm closes the lips, and instead of the right word, the intermittent sound is heard. The situation is painful for others. The tactful listener looks away, tries to suggest, advises not to worry but only causes irritation in the stuttering man, who has become insanely tired from the protracted struggle with the word. Almost all stammers, except of severe cases, are able to speak fluently while they are in familiar surroundings, among relatives and friends. Sound barriers disappear when people sing or whisper. Nevertheless, the difficulties appear again in any public speaking or in a hurry. Strong stress can very quickly throw a person into the world of fear and insecurity. Stammering, as a rule, manifests itself at the age of two to five - at the time of speech formation. Sometimes, a child begins to copy a friend-stutterer, that is, stuttering can be "contagious." However, it can pass without a trace, by itself. In most cases, parents notice that the child began to stutter after experiencing a strong fright or emotional stress: The birth of a younger sister, the death of a beloved grandmother, the divorce of parents, or the fall from a bicycle. The palette of children's fears is immensely wide. In adults, the ailment can arise as a reaction to psycho-traumatic factors. Such cases were noted among the ex-Vietnam soldiers, victims of natural disasters, and terrorist attacks. Despite the importance and urgency, this problem is clearly underestimated. For some reason, the stuttering is not considered a serious disease that deserves the attention of the state. The establishment of specialized laboratories and research groups, as a rule, is a personal initiative. More than one generation of scientists tried to explain the cause of stuttering. 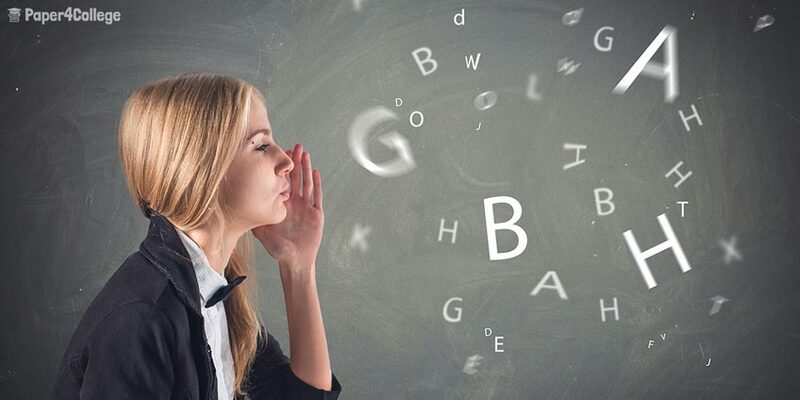 There are many theories, but our knowledge of the process in the human brain is too insignificant to solve the mystery of the speech disorder. Sometimes it is inherited, like diabetes or bronchial asthma. At least, family chronicles often store memories of stuttering relatives: Grandmother, grandfather, or aunt. It is common for identical twins to divide the disease in half. Some scientists believe that stutterers have a different type of auditory perception, in connection with which they hear their own speech with some delay. Nevertheless, both the stress and the genetic factor, according to experts, are only starting points but not the cause of stammer. About a hundred muscles participate in the speech act. Some form sounds, others vibrate the vocal cords, others provide proper breathing. Nevertheless, they all have to act like a well-established orchestra under the direction of a good conductor. A stuttering person has some kind of failure. According to the research of German scientists, the stutterer has damaged the nerve endings of the brain, on which the function of speech depends. If you want to order an essay on the discussed topic, apply to Paper4college website. Today, there are over two hundred ways of treating stuttering, starting with autogenic training, hypnosis, medication, breathing exercises and ending with shock therapy. By the way, singing is the safest sphere for stammers. All kinds of computer program developers come in competition with known methods. Even sadistic devices are advertised for those who "tried everything, but the result is zero." Their goal is to introduce into the human subconscious the fear of speaking wrong because "the fear is the best stimulator". Making a mistake when working with this device, the patient receives a very sensitive electric shock. "I tried on myself, it hurts very much at the maximum amplitude," the author of the invention admits honestly. There is an opinion that stuttering is a sign of a sufficiently high intellect, as it is evidenced by its high prevalence in the developed countries. You can argue with it. However, for example, on the African continent, stuttering is not common. Even less stutterers are in China; however, experts associate this fact with the phonetic peculiarities of the Chinese language. Bruce Willis – a "hard to die" man. In the world, there are about 60 million stammering people. There is an International Stuttering Association, which adopted the Bill of Rights and Responsibilities of People Who Stutter. Nevertheless, in actuality, all stuttering people dream of the world that will treat them with understanding, where they do not have to hide their ailment, where they will not be perceived as fools and psychopaths. The world that accepts a man as he/she is.